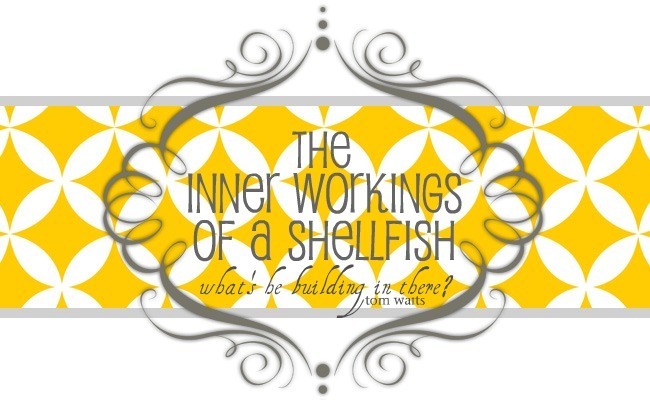 the inner workings of a shellfish: cheers to the goodlife! 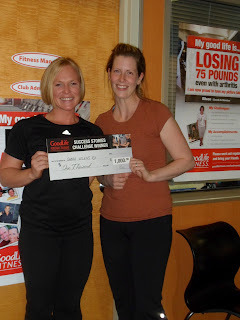 so as you may remember a little while back, i sent in my goodlife success story with fingers crossed... and i won! thanks to all of the wonderful support from my lovely gym community! and a huge thank you to my trainer turned friend who pushed me through my crazy carb cravings & silly excuses, through the cruel aroma of fresh baked goods leaking through the gym vents from the bakery below, through sweat & tears & truckloads of hormones! i couldn't have done it without her! i blush every time i look at the giant novelty sized check or my published story (especially the picture they chose... not my fav) but i feel so very encouraged to continue in my pursuit of health & wellness. it wasn't easy but now 9 months postpartum after baby #4, the scale finally makes me smile & so do the four sweet little faces around the breakfast table as i plan each day to be more healthy & strong. we are never done being better. there is always a goal to reach for. and i am ever so excited to continue the journey. here is the published version of the story! and a little inspiration for those just starting out on their own journey... you can't possibly feel self-conscious at the gym after watching this! (that blue leotard is one of the main reasons i go to a women's only gym! yikes!) who knows, maybe my next contest should be a real contest like this... minus the unitards & choreography. Sarah, congrats on winning the contest! I can't get over the amazing-ness of that video! I feel like I need to share it with a wider audience - maybe facebook. Awe, thanks Marianna! Oh yes, I have watched this video quite a few times... those people are more excited about aerobics than i think i have ever been in my entire life! So funny! I love the names of the gyms too... like the firm! so cheesy!